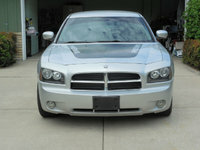 CarGurus has 287 nationwide Caravan listings starting at $2,800. This is it, a piece of history. The 1984 Dodge Caravan (along with the Plymouth Voyager) is the first minivan ever and is the first spark that ignited the minivan craze that swept over suburban streets everywhere. Chrysler was looking to create a car that combined the advantages of a truck with the look and comfort of a family wagon. The Dodge Caravan offered elevated seating for seven, easy entry and exit for both humans and cargo via a side door, and a lot of storage space thanks to removable seats. Built on Chrysler's S platform, which is similar to the Plymouth Reliant, the 1984 Caravan comes in three trims -- base, SE, and LE. The 1984 models feature a 2.2-liter, four-cylinder, 99-horsepower engine and are available as a 3-speed automatic or 5-speed manual. 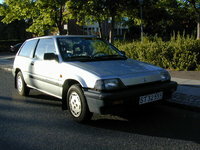 An optional 2.6-liter, four-cylinder is also available, but only in the 3-speed automatic. Also released this year, the Mini Ram Van is a cargo version of the Caravan that had no rear seats. The Caravan had several recalls throughout its first year. 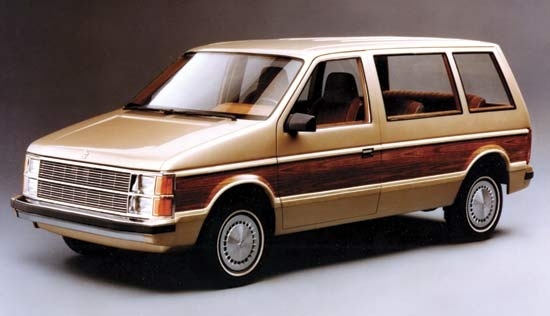 What's your take on the 1984 Dodge Caravan? Have you driven a 1984 Dodge Caravan?